Laura DeLuca For our final "Deal of the Day" we are offering a "You Pick Flash Sale!" 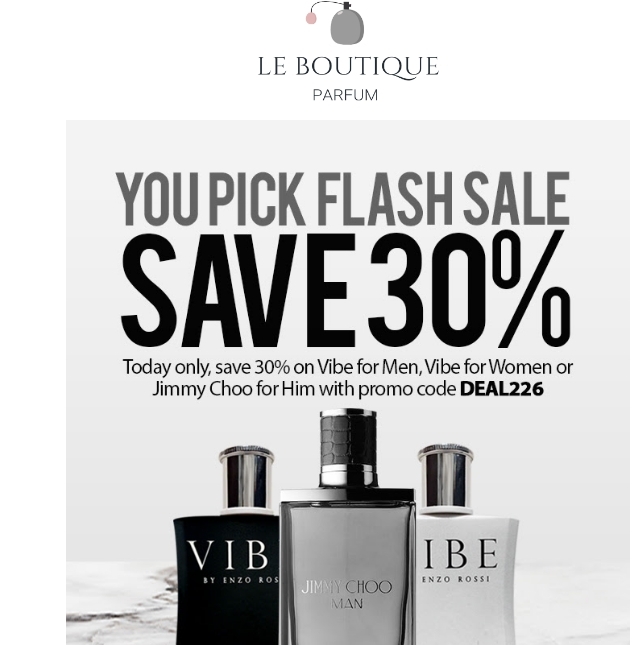 For 12 hours only, save 30% and pay nothing for shipping & handling on your choice of these three items: Vibe for Women, Vibe for Men, Jimmy Choo for Him. Save now with promo code DEAL226.